The DigitalDream CNC has engaged in the numerical control industry for 7 years, specializing in the research, development and production work of various CNC(Computer Numerical Control)systems with high quality, high reliability. 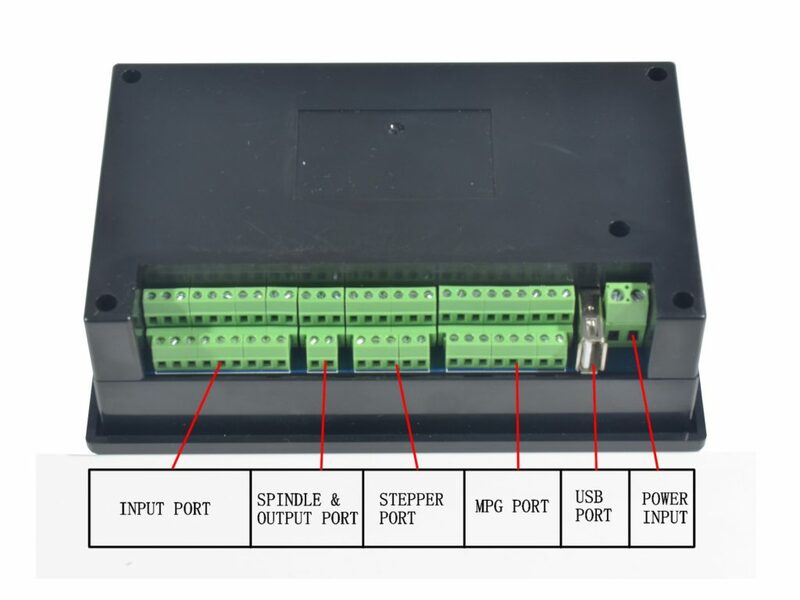 It can produce the common Brushless DC motor, Stepper motor driver as well as the 1 axisCNC system to 6 axesCNC system. 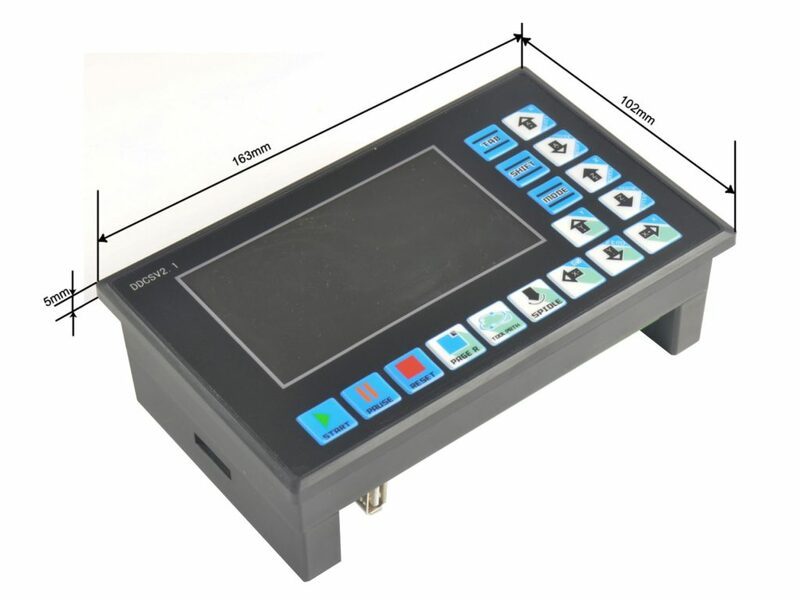 The DDCSV2.1 is the 4 axis and 4 axes motion controller which has been researched and developed by Faster CNC for four years. The control period of each position is only 4 milliseconds, with a high control precision. The highest uniaxial output pulse is 500KHz and the pulse width can be adjusted. 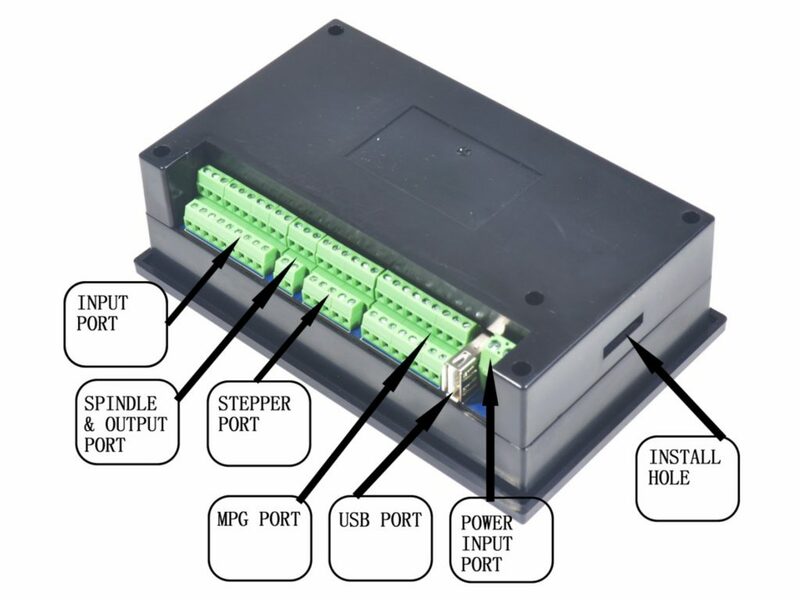 It supports the common stepper motor and servo motor. The DDCSV2.1 numerical control system adopts the ARM+FPGA design framework. 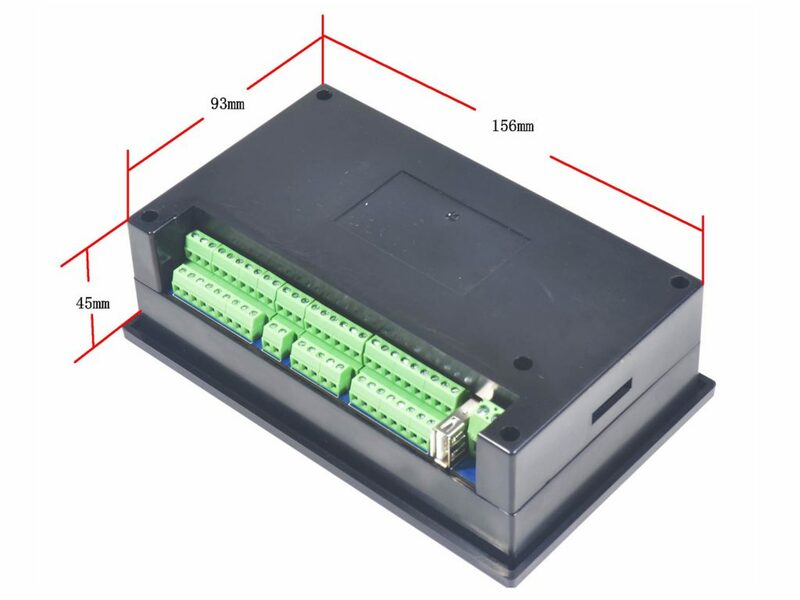 The ARM can finish the part of human-computer interface and code analysis and the FPGA can finish the part of underlying algorithm and control pulse generate, with the reasonable design, reliable control and easy operation. The panel layout structure of DDCSV2.1 is rational. 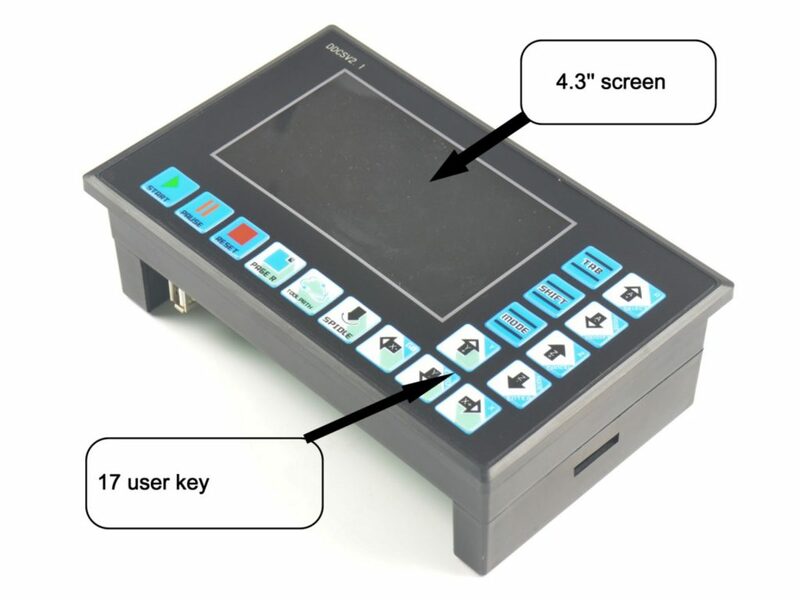 The common off-line operation can be finished only by 17 keys and it supports the FANUC with high universality to be compatible with G code set. This specificationintroduces the operation method of caving machine`s special off-line CNC system, DDCSV2.1 and the machine tool connection as well as operation specification. By lots of graphical representation and examples, the uses can quickly learn to use the DDCSV2.1 CNC system.